Warning Signs – Do I Need a New Roof? The roof SYSTEM is not the place to cheap out, or cut the budget. It is meant to protect your home, your contents, and your family for decades to come, and you are hoping to be able to count on it being an adequate and dependable defender against the weather and the elements. As a flat roofing system DOES NOT have the added benefit of being a water-shedding element, it needs to be waterproof, and it needs to be very, very dependable. Just when one should replace a roof is a little more difficult to ascertain than deciding when a house needs a fresh coat of paint. 1. Covering Old Shingles Rather Than Replacing Them – This is perhaps one of the largest corners that lower quality roofing companies will cut. The proper way to replace a portion or all of a roof is to remove all of the old shingles and replace them with new ones. This is especially true when the shingles were damaged. Placing new shingles on top of old shingles creates a variety of places for moisture and dirt to collect. This can lead to deterioration and damage much more quickly than if the process was done right. Always make sure that your roofing contractor has removed all old roofing materials before installing your new roof. 2. Reusing Old Flashing – The metal flashing on your roof helps to stop moisture from seeping into your home at vulnerable places such as chimneys, skylights and roof valleys. When replacing a roof, some roofers choose to cut corners by reusing old flashing. While the old flashing may appear to be in good condition, this could lead to potential issues down the line. Talk to your roofer about their plan for replacing the flashing on your roof to make sure that your old flashing is replaced with new flashing that is less likely to wear down. 3. Improper Moisture Protection – Although your shingles do a great job of deflecting and diverting water off of your roof, it is very important to have proper moisture protection installed underneath. This moisture barrier not only protects your decking from rain, but perhaps more importantly from collecting moisture sources such as snow and ice. For your roof to be properly protected against moisture, a high quality moisture barrier is a must. 4. Incorrect Fastener Length – Whenever nails that are too short are used to fasten your shingles, you run the risk of your shingles loosening. Not only can this lead to them shifting, it can result in your roof requiring premature replacement and repairs. Ensure that nails that go well into the decking are used so that you are safe from shifting and displaced shingles down the road. 5. Incorrect Nail Placement – In addition to fastener length, nail placement is also very important to the overall integrity of your roof. When nails are placed improperly, it can cause some very serious structural issues. Instead of leaving the nail heads exposed to damaging sun, wind and moisture, all nails should be placed underneath the top layer of shingles. This can help keep them from corroding, which can eventually lead to holes in your shingles. 6. Improper Flashing Installation – In addition to replacing your flashing, you should make sure that your roofer installs the new flashing properly. If it is misaligned, improperly overlapped or insufficiently fastened, then your roof is not sufficiently prepared to protect you from ice, rain and snow. 7. Improper Overhang – Although it does give your home a certain aesthetic appeal, there is a very good reason that your shingles overhang the eaves of your house. If your roofing materials do not hang past the eaves, then you risk wind damage, which can also blow wind underneath the edges of your shingles. Make sure that your roofer gives your roof the proper amount of overhang. To further protect from wind damage, ask to ensure that they are using the correct number of fasteners per shingle for the wind zone that your home is in. 8. Improper Ventilation – When thinking about roofing repairs and replacements, many homeowners do not know how important ventilation is. High quality roofing contractors and materials companies use advanced roofing materials to ensure that your roof is not only structurally sound, but properly vented. If your roof is not vented well enough, it can lead to excess heat build-up and damaging moisture collection. 9. Decking Issues – The decking on your roof lays the foundation for the shingles that are laid upon it. Because of this, it is one of the most important aspects of your home. You will want to make sure that your roofer inspects all decking to make sure that it is in proper shape, and has been installed correctly. Furthermore, it should be properly protected by the elements by moisture barriers, shingles and other coverings. Whether you are repairing a roof damaged in a recent storm, or just from normal wear and tear, the above mistakes can make or break the overall life of your roof. Although you should definitely be talking with your roofing contractor about these points, choosing a local, reputable company to do your roofing work can help you avoid many of these common errors. This is especially true after a significant weather event or other occurrence that results in a large number of roofs being damaged. This situation brings in droves of fly-by-night roofing companies that may do a substandard job and then be difficult (or impossible) to contact later on. Your roof is the most important part of your home. Make sure you put it in good hands. 1. NAILS - Nails used for roofing shall be corrosion-resistant roofing or shingle nails conforming to CSA B111, “Wire Nails, Spikes and Staples”. Nails shall have sufficient length to penetrate through or 12 mm into roof sheathing. 2. VALLEY - Closed valley flashing shall consist of sheet metal, self-sealing composite membranes consisting of polyethylene and bituminous material or one layer of either Type S smooth surface roll roofing or Type M mineral surface roll roofing (mineral surface down) not less than 600 mm wide, and nails shall not penetrate the flashing within 75 mm of its edge or 124 mm of the bottom of the alley centerline. Translation: In closed style valleys, where shingles overlap and metal is not used, an ice and water shield or leak barrier membrane must be applied to the deck prior to shingling. 3. WALLS - The intersection of shingle roofs and masonry walls (and walls clad with other than masonry) or chimneys shall be protected with flashing. 4. CHIMNEY SADDLE – Chimney saddles shall be installed where the upper side of a chimney on a sloping roof is more than 750 mm (29.5 in) wide. A chimney saddle need not be installed if the intersection between the chimney and roof is protected by sheet metal flashing that extends up the chimney to a height equal to at least one-sixth the width of the chimney, but not less than 150 mm (5.9 in), and up the roof slope to a point equal in height to the flashing on the chimney, but not less than 1.5 times the shingle exposure. 5. 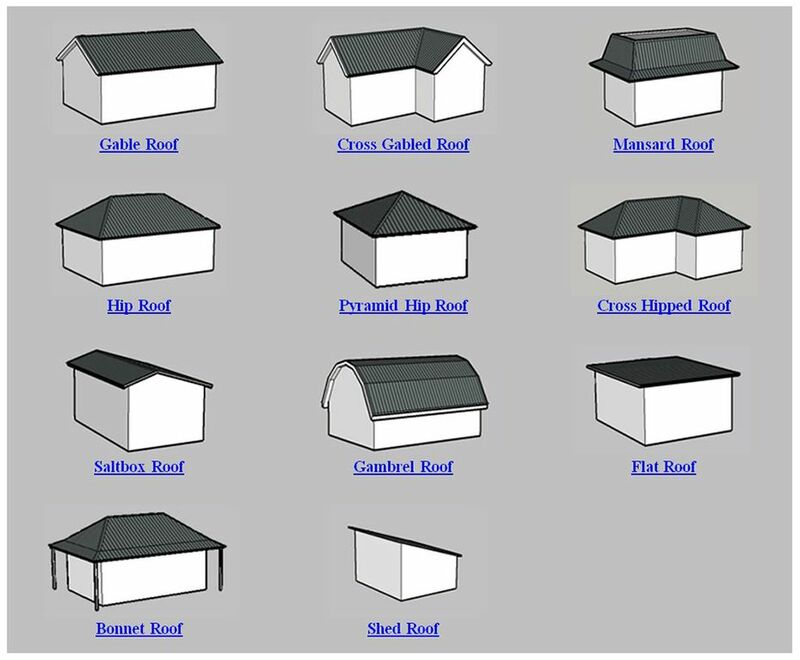 EAVE PROTECTION – Eave protection shall be provided on shingle, shake or tile roofs, extending from the edge of the roof a minimum of 900 mm (36 in) up the roof slope to a line not less than 300 mm (12 in) inside the inner face of the exterior wall. Eave protection is not required over unheated garages, carports and porches, where the roof overhang exceeds 900 mm (36 in) measured along the roof slope from the edge of the roof to the inner face of the exterior wall, on roofs with slopes of 1 in 1.5 (8/12) or greater. Eave protection shall be laid beneath the starter strip and shall consist of, No. 15 asphalt-saturated felt laid in two plies lapped 480 mm and cemented together with lap cement or self-sealing composite membranes consisting of modified bituminous coated material. 6. UNDERLAY BENEATH SHINGLES – When underlay is used beneath shingles, it shall be (a) asphalt-saturated sheathing paper weighing not less than 0.195 kg/m2, or No. 15 plain or perforated asphalt-saturated felt. Underlay used beneath wood shingles shall be breather type. Underlayment is not a requirement with asphalt roofing but is highly recommended by all shingle manufacturers and Ben’s Roofing. 7. STARTER STRIP – A starter strip shall be installed along the lower edge of the roof so that it extends approximately 12 mm (1/2 in.) beyond the eaves and rake of the roof. Starter strips shall either be pre-manufactured starter strops or at least shingles of the same weight and quality as those used as a roof covering with tabs facing up the roof slope. *Information extracted from Ontario Building Code 2012. For more information regarding specialty roofing details please CLICK HERE and refer to page 506-513, Section 9.26 for Roofing.